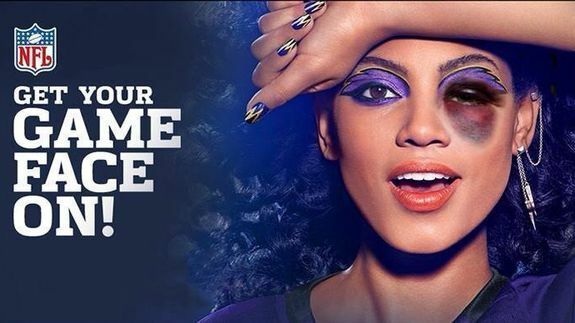 CoverGirl Ad Becomes a Protest Tool Against NFL's Roger Goodell - trendistic.com: ever tried. ever failed. no matter. try again. fail again. fail better. CoverGirl’s easy, breezy, beautiful ad campaign has undergone a shocking makeover at the hands of Roger Goodell protestors who are adept at Photoshop. Lena Dunham’s Lenny Letter is spending the week talking about the importance of women in science — thanks to a check from General Electric….